Marcus Hellyer’s article ‘Army must adapt to evolution in its military purchases ’, published in The Australian earlier this month, reveals a number of serious problems with the prevailing wisdom about Australia’s defence. 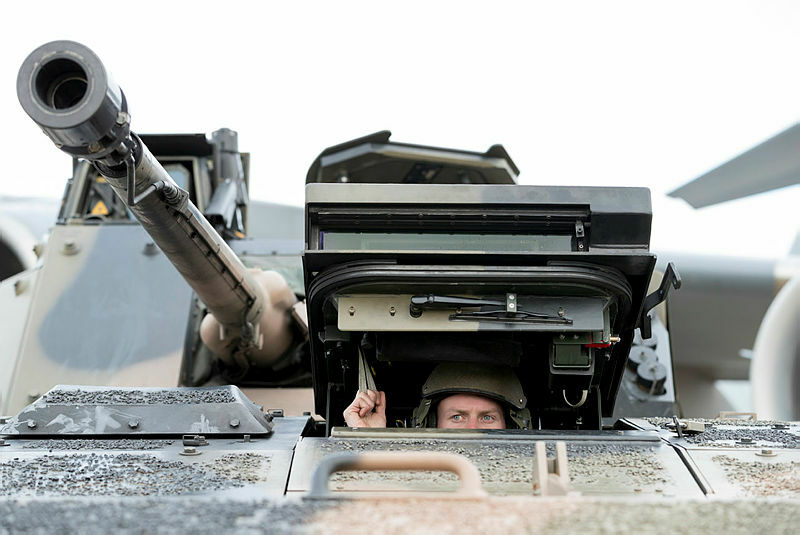 Invoking the obsolescence of knights in the late Middle Ages, Hellyer criticises the Defence Department’s moves to acquire 450 infantry fighting vehicles (IFVs) under the LAND 400 project. Noting that knights were eventually rendered obsolete by technological and organisational changes, he questions the case for the ADF to acquire large numbers of IFVs that could be of little use in future operations. Hellyer argues that IFVs are ‘ill-suited to tasks that feature heavily in modern counterinsurgency operations, such as route clearance and patrolling’ and could be vulnerable on the conventional battlefield. He suggests that they ‘may not be survivable in a future conventional war’ and could be of ‘poor value for the likely [counterinsurgency] tasks the ADF will have to perform in the future’. The ADF, he suggests, could limit its ‘operational and investment flexibility’ by committing to the full complement of 450 IFVs. Hellyer draws an analogy between the armoured knight and the IFV, which has little bearing on what we have learned about practical military operations in the 21st century. Those who have fought in modern war zones recognise a simple truth that Hellyer appears to overlook: that at the tactical level, IFVs continue to win battles and save the lives of soldiers. I have often said in this forum that I value the offerings of those without military or combat experience, but that they should always think twice before publishing on issues that are essentially tactical. What troubles me most about Hellyer’s article is that he apparently thinks that the major likely future task determining land force equipment acquisitions could be counterinsurgency, perhaps of the Malayan Emergency type. But we are now in a period of immense strategic uncertainty, when the intent of our major ally is becoming increasing clouded and the capability of the US armed forces has been severely diminished, especially in comparison to likely world opponents. Scepticism about the utility of armoured fighting vehicles (AFVs), and particularly what have been called ‘tanks’, in the Australian armed forces has a long pedigree, even among military personnel. During and since the end of the World War II, Australian leaders have been reluctant to deploy AFVs in military operations. It was hard enough to get military commanders to accept tanks into the Buna–Gona fighting, but they won battles and saved lives. In the Korean and Vietnam wars, the Australian Army resisted deploying AFVs to the warzone. In Korea, we happily accepted US and British armoured support, which was decisive in many engagements. In Vietnam, our tanks and armoured personnel carriers, once they were sneaked in, were critical. Tanks and other armoured vehicles proved their worth in the modern counterinsurgencies in Afghanistan and in Iraq, yet there was a deep reluctance to deploy Australian tanks to Afghanistan and we had no appropriate armoured vehicles heavier than the ASLAV. There are good practical reasons to be sceptical of AFV scepticism. The continued importance of AFVs in tactical warfighting was demonstrated in our recent experience of coalition forces in Iraq. Hundreds of M-1 Abrams tanks and M-2 Bradley IFVs provided vital protection against IEDs and other weapons in counterinsurgency activities, winning battles large and small, and saving lives, until more appropriate armoured vehicles were developed and deployed. Many coalition soldiers are still alive today because of the armoured protection and fire support provided by AFVs. Practical experience demonstrates that the long-anticipated obsolescence of the AFV has yet to come to pass. Ignoring these hard-won lessons could lead us to make the wrong decisions about acquisitions, and imperil Australian soldiers in future operations by depriving them of the equipment that will be most effective. At a higher level, Hellyer’s article may be indicative of what has been a serious underlying problem with Australian defence thinking over many years: a lack of integration in our approaches to the tactical and strategic levels of defence. There can be no sound defence policy or strategy without sound tactics. Any strategic policy, including the question of acquisitions, must take tactical realities into consideration. To jettison AFVs from our force structure in the face of the hard-won practical experience of recent years would be foolish. The government, Defence and the ADF are only now starting to move away from the kind of advice that this represents. The government has embarked on the largest peacetime rearmament program in our history, spending $200 billion in 10 years . The air force stands near perfect (except for sustainability); the navy has priority for re-equipping in the short to medium term; and, in a joint force, the army must match air and maritime forces at some stage for any kind of warfighting, including counterinsurgency. Even if counterinsurgency happened to be the main future task of the land forces, 75 years of post–World War II experience tells us that the army is likely to go to war two or three times before the last frigate or sub hits the water. In the current circumstances, we will be ‘the lucky ADF’ if that’s all we have to do. The army must be equipped to fight the same kind of wars as the air force and the navy.